There were, of course, many reasons not to go through with this. Could I live with my mother? Would she now be telling me every day that I should talk to my sister about this or my brother about that? Would I ever have privacy again? Would my parents feel compelled to give us unasked for advice on child rearing? We would have to hash over all of these questions, and more, but, knowing my parents, they had already spent many days and nights painstakingly discussing the pros and cons and possible problems of this venture, and somehow, that was comforting. My mother continues by saying, “We can’t go on living on three floors like this. The stairs are more of an obstacle than they used to be. We’ve looked at lots of different options. We can’t afford one of those expensive retirement communities.” Then Dad adds, “And I’d like to spend the winters in Florida. The cold really bothers me. We looked at the numbers. We think that when we sell our condo we will have enough money to buy the in-law apartment here, and a small condo in Florida. We’ve already researched the cost of Florida condos, and we think we can do it. We could still live rent and mortgage free.” Oh, they’ll only be here for half the year. I should be able to deal with that. “We’ll go to Florida for as many winters as it is comfortable and possible for us to drive down. We don’t like to fly. When we no longer feel able to make the trip, we’ll have to deal with winters here.” I better get a grip and prepare myself. At some point, they will be living here with me full time when one or both are in ill health. If I really think about it, I don’t want them to be ill or uncomfortable, but if something like that is going to happen, it will be so much easier for me to help them if I just have to walk around to the back of the house. I guess it really is the best way to handle things, even if I do still want to deny that it will ever come to that. Then Mom says, “You know, I could help out with child care. If you were going to be late getting home, you could just call me. And you and Marc could go out in the evening. We could have Shabbat together more often. The only thing is, my apartment probably won’t be big enough to have the family over for Holidays anymore. We’d have to do that in your house.” I knew the family parties would get in here somehow. Many of you may be wondering what it’s really like living so close. There are several things that we have done that I think have helped this to work out as well as it has. First, we all decided together that it would be best to have the in-law addition be a truly separate living quarters, at least while my parents’ health was still good. We did not put a connecting doorway between the apartment and my house. If we want to visit each other, we have to walk outside. This helped with the privacy issue, but didn’t entirely take care of it. For example, Dad had a copy machine in his condo that he wanted to keep, but there really wasn’t room for it in the apartment. We were, of course, thrilled with the idea of having use of the copier in our house, but it made for a sticky privacy issue. It’s their copier, and they should be able to use it whenever they need to, but it’s our home, and we cherish our privacy just like anyone else. In addition, Mom, the loving Jewish mother that she is, enjoyed just popping over for a visit. Sometimes this was great because the timing was perfect. At other times it was an inconvenience and I or my husband were kept from something we needed to be doing. As the months went by, my husband and I both found a bit of resentment building up, yet were at a loss as to how to handle this. My folks, were, after all, being incredibly helpful with child care, errands, and countless other things. I felt guilty being resentful of the frequency of the drop-in visits, but I knew it had to be dealt with because we were all in this for the long haul. Luckily, I didn’t have to be the one to bring this up. My father, bless his soul, was commenting to someone else about our new living situation, and then, as an aside, said to me, “By the way, we’re not stopping in too often are we? I’ve been meaning to ask you about that. We don’t want to intrude.” That was my opening, and we ended up having a very good, frank, discussion about the problem. We decided that Mom and Dad could come into the downstairs area anytime they needed to use the copier, but that they would just make their copies and leave. If they wanted to visit or needed help with something, they would call first (as would we), and we could arrange a time that was good for everyone. Having this discussion was such a relief. Now I thoroughly enjoy my visits with my parents because I don’t have other things demanding my attention at the same time, and my husband can arrange helping Dad with a project when it’s convenient for him, rather than feeling that he has to drop everything because Dad is standing right there in the kitchen waiting for him. So, I felt that we were doing pretty well at this point. We were hashing out some of the complicated issues that come with living so close, but the difficulties weren’t over yet. One day, I was out raking some piles of grass from the previous afternoon’s mowing. While I was out there, I overheard Mom in the apartment saying to Dad, “What is she doing that for? She has boys who can do that for her. Do you think I should say something?” I was glad to have warning of what was to come, because after a moment or two, out came Mom who asked me why I was doing the raking. “Because I want to.” I replied. “But you have enough to do.” she said. “You have boys who could do that for you.” I took a deep breath, put on my best “Mom, I love you” smile, and said “Mom, I’m going to say this as nicely as I possibly can. It’s none of your business.” With a look of surprise (because I had probably not spoken to my mother this way since I was an argumentative 13 year old), she went back into the apartment and complained to Dad about what I had said. Then Dad came out and made a peace offering of some freshly sautéed Portabello mushrooms. While I was munching, he said, “Just for the record, I don’t think you should be doing the raking either.” “Well, it’s none of your business either.” I said with that same endearing smile on my face. When I told this story to a friend, she said, “Wow, it just strikes me how much worse this would be if your parents were actually living in the same house with you. This kind of loving interference could be happening on a daily basis.” She definitely had a point. The most important thing we have all done is to take the risk to speak about things that might hurt the other’s feelings. We have grown closer because of it. I think that keeping silent on the difficult issues would have pushed us apart. Well, that’s how it all began. My parents have now been living in an ECHO (Elder Cottage Housing Opportunity) in-law apartment with me for about 2 years. It has actually turned out better than I ever expected it could, and that’s why I’m telling the story, so that others who might be thinking about this can know how we did it and how we made it work, both financially and emotionally. The only part of the story left to tell is how we went about the nuts and bolts of the project. The first step was to get estimates for the job. Originally, we were just going to have a conventionally built in-law addition. Dad got a quote from a builder he knew and trusted for a 526 sq. ft. completely self contained one bedroom apartment. The price was unbelievable! We were all shocked. My folks could never afford to go to Florida if the cost of the apartment was going to be so high, and I was, unfortunately, not in a position to help finance the apartment with my oldest son getting ready to start college. We agreed that we would always provide a home for my folks from this time forward, and help with their care whenever they needed us. 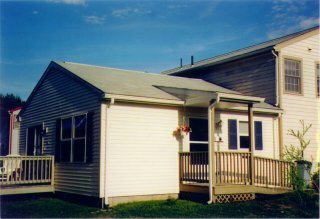 Fortunately, Mom and Dad came across an AARP publication titled “ECHO HOUSING.” It described affordable free-standing modular homes and in-law apartments that were specifically designed to meet the needs of elders. Both are built with Universal Design features that make the homes accessible for people of all ages, sizes and abilities. 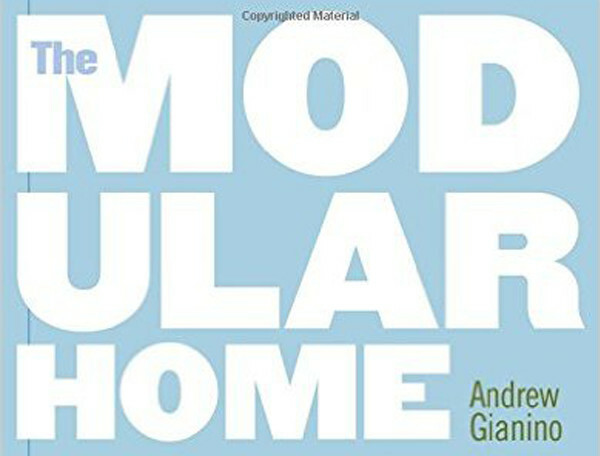 The publication described how the modular homes are built in a factory and trucked to their destination. The amazing thing is that they can easily be removed if the family is relocating or no longer needs the ECHO home. This idea seemed intriguing. Mom and Dad remembered seeing a modular home at a home show a few years back, and inquired with that builder about his cost for the same size apartment. 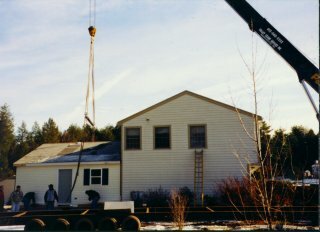 The Home Store, who built the home show house, was able to beat the local builder’s price by thousands of dollars. 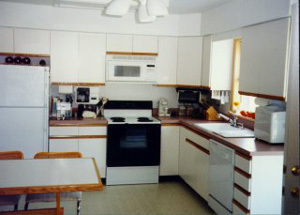 It helped a lot that The Home Store has a specialty in Universal Design and ECHO housing. We were also pleased they were able to do everything that needed to be done from start to finish. We then had to go before the Zoning Board of Appeals to get the O.K. to add a supplemental apartment. In addition, we had to inquire about any restrictions on the size of the apartment. We did not have any difficulty getting approval for our in-law addition. Our neighbors and the town were supportive of the idea, and are pleased with how seamlessly the ECHO blends with our home. Now that our ECHO apartment is here and lived in, we have found that the quality and sturdiness of the modular home is exceptional. I learned that the reason the modular addition feels so solid is that it has to be built to withstand the trip from the factory and being lifted by a crane and placed on its foundation. That apartment does not have one single spot that squeaks or creaks. My home, on the other hand, squeaks and creaks everywhere we walk. (800) 647-6777 or (919) 515-3082 or e-mail: cud@ncsu.edu. The Home Modifications Action Project at The Andrus Gerontology Center at USC: (213) 740-1364 or e-mail: hmap@USC.edu.